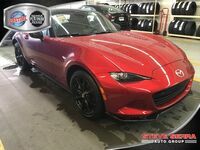 The new 2018 Mazda MX-5 Miata has been revealed by Mazda and this model year of the famous sports coupe is bringing a bunch of updates for drivers to take advantage of. Alongside stylistic details, the Mazda MX-5 Miata has further refined its performance equipment to increase its agility and refine its drive.  Functional and performance updates to the 2018 Mazda MX-5 Miata showcase Mazda's commitment to producing cars that are centered around driving dynamics. New materials and color options make this MX-5 Miata more customizable than ever. 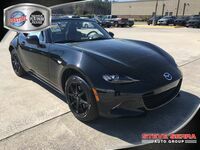 Adding features at every trim level, the 2018 Mazda MX-5 Miata continues to bring drivers value and increased benefits. This model year retains the same trim level lineup as the previous model year, including the Sport, the Club, and the Grand Touring model grades. 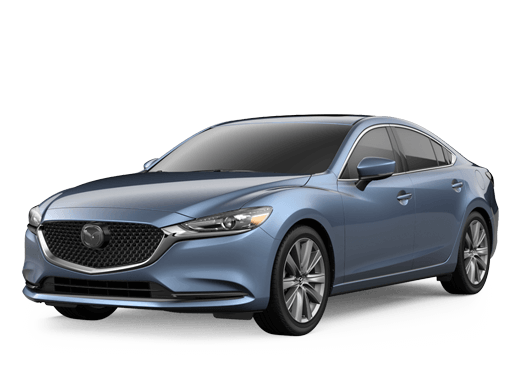 Newly standard on the Sport trim is Mazda's MAZDA CONNECT infotainment system with 7-inch full-color touchscreen display, multi-function Commander and HD Radio connectivity. Now drivers at every level can enjoy the convenience that this infotainment platform affords. In addition to this technology, all trim levels see improvements on amenities. The soft top sports coupe has gone through a slew of performance updates including suspension and power steering. These pieces of equipment have been re-tuned to provide a more refined ride and more agile traction. As well as driving dynamics, these updates function to suppress unwanted cabin noise. 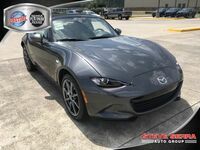 New for the 2018 model year, the MX-5 Miata adds a new color option for its soft top. Drivers may now opt to have an available Dark Cherry soft top. They can also choose to upgrade to a Nappa leather interior and have two new color options for their exterior look: Soul Red Crystal Metallic and Machine Gray Metallic.